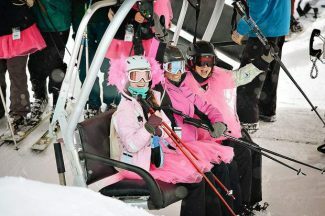 Now in its 23rd year, Boarding for Breast Cancer will get its Shred-A-Thon going as soon as the lifts start spinning, 9 a.m.-4 p.m., Saturday at Alpine Meadows Ski Resort. Boarding For Breast Cancer is back at Alpine Meadows Ski Resort for the seventh stop of the Shred the Love Tour for a weekend of fun and breast cancer awareness. All proceeds benefit Boarding for Breast Cancer’s education, prevention and survivorship programs. The fun starts 5-9 p.m. Friday with Boarding for Breast Cancer (B4BC) and friends at Alibi Ale Works in Truckee for an art and silent auction, a raffle, and Alibi’s brews and Kombuchas. 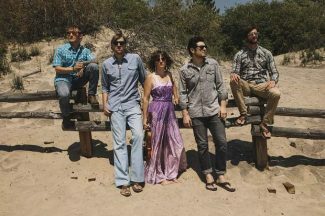 Grass After Dark with live music by The Pixie & The Party Grass Boys starts at 10 p.m. and plays through 1 a.m. 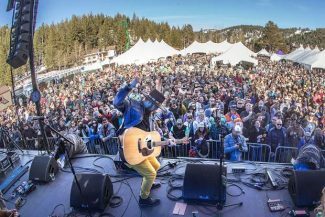 The weekend continues 9 a.m.-4 p.m. Saturday at Alpine Meadows Ski Resort. B4BC will once again host a Shred-A-Thon down Kangaroo Run, seeing how many laps can be (safely) made while dodging and jibbing features on the run. Register here and start fundraising. A $25 registration fundraising fee is required, but the more funds raised, the better the prizes. 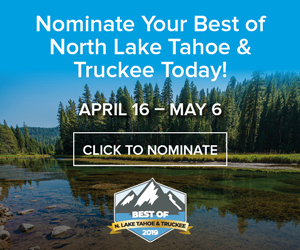 Top prizes will be awarded to top participants and top fundraisers. New this year, B4BC is teaming up with Sports Basement, which will be hosting an all-day demos; and for Shred the Love guests, demo prices will be reduced to $15. For those who wish to support B4BC, but can’t attend, donations can made online. Visit B4BC.org for information. Boarding for Breast Cancer (B4BC) was founded in 1996 with the goal of making breast cancer awareness and breast health a topic of conversation among young people because, in fact, young women and men are not immune from the disease, the organization’s website states. The inspiration for B4BC was a young woman named Monica Steward, who started her battle with breast cancer at the age of 26 and passed two years later of complications that arose from delayed diagnosis. B4BC’s founders — Lisa Hudson, Kathleen Gasperini, Dawn Kish, and pro-snowboarders Tina Basich and Shannon Dunn — hoped to honor their friend Moni by creating an event that centered around their passions of snowboarding and music while communicating the urgent importance of awareness and education.